10 Nov 2017 by Meghen Campion. There's no better way to celebrate Forage Supply Co.'s first birthday than to set-up at Provnenace Barossa and let the good times roll in! 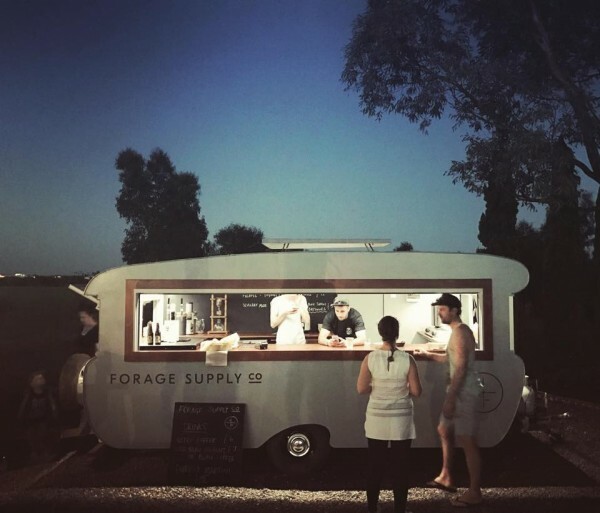 Forage Supply Co. will be setting up their little caravan outside of Barossa Distilling Company's 'The Stillery' tomorrow from 12pm to celebrate one year of filling bellies with delicious food! Adding to the excitement, Eloise Praino will be pop-ing in with Poptails! Poptails are ice creams and sorbets inspired by cocktails - they're ice creams for grown ups! Poptails are strictly for adults but never fear, there will be ice creams for the kids too so everyone's a winner here! This is a family friendly event kicking off at noon tomorrow 11 November at The Stillery, Provenance Barossa - hope to see you there!